Christmas is one of the most wonderful times of the year. There is shopping, gift giving, Christmas cards, cookies and manger scenes! What we do at Christmas actually follows along with what they did 2,000 years ago when baby Jesus was born. We have been doing a series on gifts we give and receive. The best Christmas gifts we could ever give and receive, can’t be bought at a store or even wrapped in a box. Gifts are apart of the Christmas story and how we show one another We care. ​But Let’s be real, Christmas also is a busy time of the year, where there is a lot to get done in a short amount of time. It can put a strain on you physically, emotionally and financially. In the busyness of it all, prayer is very important not only in the Christmas story but your Christmas story as well. Even though baby Jesus was born 2,000 years ago, each year we celebrate Christmas, it is a continuation of his story through you. Jesus left his legacy behind and how we celebrate Christmas carries on his legacy. A very important prayer was answered over 2,000 years ago that changed the course of our lives forever. During the time of the birth of Jesus, King Herod an appointed Roman ruler, was king of Jerusalem. He was very ruthless and mean. He murdered his wife, his 3 sons, his mother-in-law, uncle, babies in Bethlehem and many others. He was not a person the Jews wanted as their king. They very much were waiting and praying for a new king, one that would save them from Herod’s rule (Matthew 2 :1-2). After Jesus was born, the Magi came to Jerusalem asking, “Where is the one who has been born king of the Jews?” We saw his star in the east and have come to worship him. King Herod was not happy to hear this, and made a plan to have Jesus killed. Herod’s plan obviously was not successful. Shortly after initiating his evil plan, Herod himself died shortly after. God’s timing and plan are perfect in every way. If God can answer a prayer from 2,000 years ago, he can answer Yours as well. Your Prayers Matter. This Christmas don’t forget to include prayer in Your Christmas Story. You never know what one prayer can do, it might just change your life or someone else’s. Have you opened up all of your gifts that God has given you this Christmas? Have you included Prayer in your Christmas Story? Give and receive the Gift of Prayer this Christmas. Here is a Christmas Prayer for you. 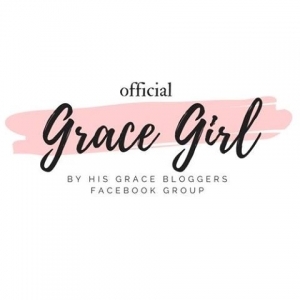 To hear weekly encouraging messages, Subscribe to my blog and an encouraging message will be sent right to your inbox! Or Join Me on Periscope Tuesdays at 12:15pm EST and Saturdays at 10:30am EST! In case you missed it here is the replay from this week’s periscope. Goes along with the gift of prayer and helpful prayer tips for prayer for journaling! Have a Blessed Week and a Very Merry Christmas! See you Next Week!